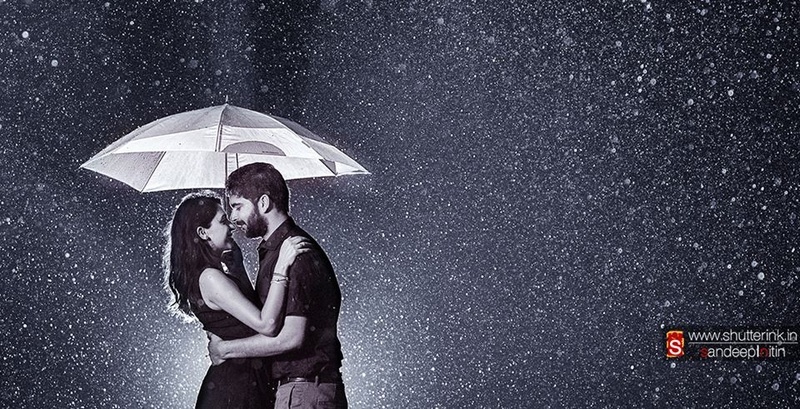 #MonsoonWeddingSeries – Tips, Tricks and Wedding Decoration Ideas! After our take on Summer wedding decoration ideas in our #SummerWeddingSeries, it was time we cater to the brides who equate the monsoon season as the most romantic season of the year! That’s right. With this, we begin our #MonsoonWeddingSeries. While bright outdoors-y venues will always be at the top of our checklist of wedding venues, the rainy season brings with it, its own charm, its own warmth and love. In our first part of this #MonsoonWeddingSeries we show you a few ways to ace that monsoon wedding decoration! What kind of decor to use in your wedding and what not, color themes for your monsson wedding decor and more - scroll down to see. Go all out with flowers! If there are two things that can make any wedding level up in prettiness, it is flowers and drapes. They give your wedding a fresh new look even making the most normal banquet hall look like a million bucks! Since the Monsoon also brings with it gloomy days and very minimal daylight, keep your wedding theme colours bright. No one wants to walk into wedding with maroons and navys from a dark gloomy day outside. Gear up your wedding décor with bright peaches, whites and lime yellows. Match Decoration Details to The Season – Add a Sea of Umbrellas! It is a proven fact that you can never go wrong with an abundance of Umbrellas! These photos prove how you can tastefully use a sea of umbrellas to make your indoor wedding décor preppy and fun! Add a bunch of artificial flowers for a contemporary touch or simple use the always-loved Rajasthani umbrellas – whichever style you pick, be sure it will leave your guests instagrammin’ it all night! We know Big Fat Indian Weddings are the ones with the tastiest food. Those finger-licking starters make your guests want to run behind that waiter to get one more paneer-tikka-masala. And in the Indian monsoon season, this miiiight just get a little bit messy. Try a sit-down dinner instead of a buffet styled one to keep it mess free. Clear Tents. Although we lovelove colourful wedding drapes, criss-crossing in all their glory –these clear tents for an outdoor wedding look SO stunning! They beautifully give you the feel of an outdoor wedding, while still being safe and dry indoors. Ask your wedding decorator/planner to set up something similar for you to make a statement with your outdoor monsoon wedding decoration!